Today Mark Zuckerberg invited all of Facebook’s users to ask him questions. 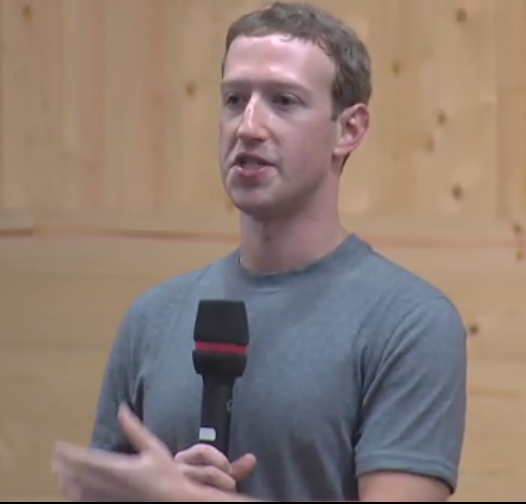 It was an hour of Zuckerberg, unfiltered, and it yielded some interesting info. Here are the 10 fascinating details you don’t want to miss from today. You can also just watch the full event here. “Do you care that Facebook isn’t “cool” anymore?” Zuck responded that it’s never been about being cool. “I am not a cool person”. Zuckerberg doesn’t care if Facebook is cool. Zuckerberg sees Facebook as a utility like electricity and water, and as “the perfect personalized newspaper”. Zuckerberg feels that a product doesn’t have to be cool to see massive use. Why He Just Gave $25 million to Ebola charities. Zuck feels that Ebola is an easily preventible possible mass tragedy, and he wants to stop it before it gets out of hand and becomes “the next HIV or Polio”. He also noted “What I would have given to go back to the ‘80s, to before I was born, and fight HIV before it exploded”. “Why do you wear the same shirt every day? Is it the same shirt, or do you have multiple?”: Zuckerberg does it for the same reasons that Steve Jobs did it and Barack Obama does it. Psychological studies prove that decisions exhaust us. According to Zuckerberg, he doesn’t want to waste effort deciding on anything frivolous, because he wants to be well-prepared to decide how his product works for his billions of users. And yes, he has more than one shirt. “What is the biggest misconception about startups?” Zuck says “The biggest misconception in the media is that one person builds these things… You don’t have to be super-human. You just have to find people who share your passion… I don’t have all the answers”. In other news, Zuckerberg confirmed that Facebook is building solar-powered drones to provide internet access to people around the world (similar to Google’s project loon). “Why isn’t the news feed chronological?” The average user looks at 100 posts per day on Facebook. The average user’s friends create around 1,500 posts daily. Without some filtering and algorithmic magic, things like births, marriages, and trips would be buried in a pile of fluff. On that subject, new Newsfeed controls are on the way. Zuckerberg announced that Facebook is in the midst of building controls for you to fine-tune your newsfeed to your own tastes (i.e set it to show more photos, and less news stories). Facebook’s algorithms are also constantly adapting the newsfeed to your preferences, so by interacting with certain types of content (i.e photos) and ignoring others, you can get your news-feed to show what you’d like it to. Note: I paraphrased a few questions and answers, and made edits for clarity. Thanks to The Next Web for helping me catch some of the exact quotes that I couldn’t write down fast enough.